The Christmas Concert took place last Sunday, and included music from the Handbell Choir, the Chancel and High School Choirs, Christmas stories from Holland, China, Guatemala, India, and Ghana, music from nine PUMC instrumentalists (strings, brass, and woodwinds) accompanied by piano and organ, plus hymns and carols were sung. We are blessed to have so many musically talented members of our congregation willing to share their gifts. It was a truly joyful event. If you missed it this year, you should definitely NOT miss it next year. Photos can be viewed at our Christmas 2012 Flickr set. More will be added, so please check back occasionally. 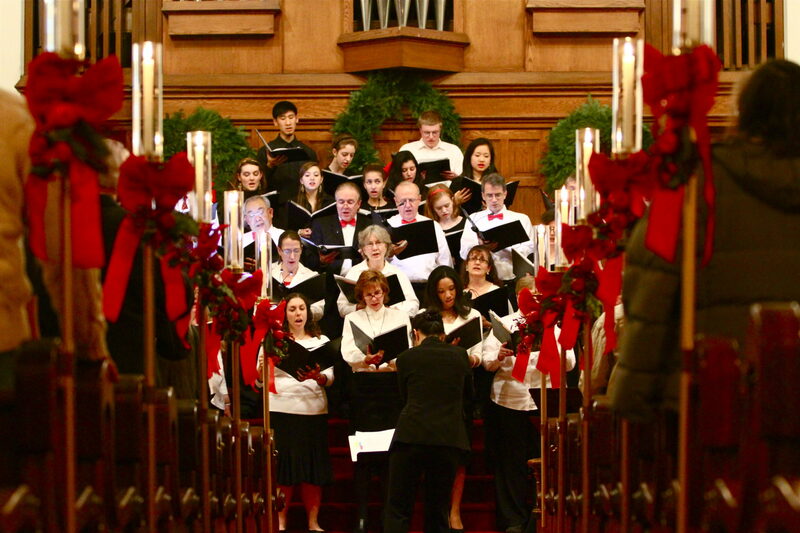 This entry was posted in General, Music and tagged Christmas Concert, International Christmas Stories, PUMC Chancel Choir, PUMC Handbell Choir, PUMC High School Choir. Bookmark the permalink.